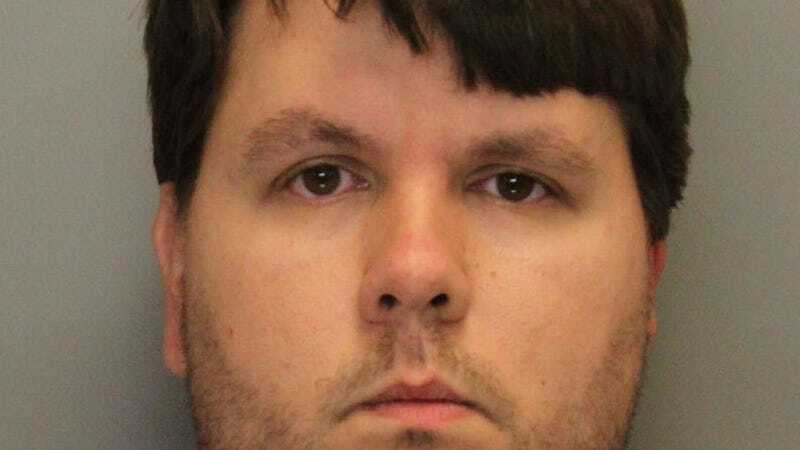 Justin Harris has received both a great deal of sympathy and derision after he left his child to die in a hot car two weeks ago. Many have defended the father, stating that this type of thing could happen to anyone. The results of Harris' hearing today, however, indicate that the child's death may not have been accidental after all. HLN live-blogged the hearing and the report they've produced is shocking. Up until now Harris has been painted as a father who got careless, but new evidence shows that he had actively been visiting child-free forums, cheating on his wife, and telling one woman that he was sexting that he had "no conscience." All of that could be ignored, however, if not for two things: One, Harris had to have used his rear-view mirror to park at work and had to reach back to get his laptop, making it very unlikely that he didn't know his child was in the backseat. And two, surveillance footage shows that Harris returned to the car during the day, making it nearly impossible that he didn't know that his toddler was still inside. Below are excerpts from HLN's report which are worthwhile but incredibly painful to read. According to the prosecution, Harris was leading a double life. It is also possible that since the child died around noon that Harris knew of his death when he returned to the car to drop off light bulbs after lunch. 1:30 p.m. ET: Detective Phil Stoddard is on the stand. He says the cause of Cooper Harris' death is hyperthermia and the manner of death is homicide. 1:33 p.m. ET: There was nothing out of the ordinary on the day Cooper Harris died: "The child was doing great," Stoddard said. He also tells the judge that Justin Ross Harris normally took the boy to daycare, so this wasn't out of his normal routine. 1:35 p.m. ET: Stopping by Chick-fil-A is also not out of the ordinary for Harris and his son: "Justin stated that this happens two or three times a month. It's daddy/son time – a special occasion to them," Stoddard said. The distance from Chick-fil-A to work is 0.6 miles — "Not even a mile," says Stoddard. 1:43 p.m. ET: "His excuse was he fell asleep," Stoddard said, referring to Harris. Stoddard says the boy seemed to be alert and fine at Chick-fil-A. Harris described how he would strap Cooper into his car seat and how he "always gives him a kiss in case he gets into a car accident and dies." Harris told investigators he wanted Cooper's last memory to be that daddy loved him. 1:45 p.m. ET: It took 30-40 seconds for Stoddard to get from Chick-fil-A to the stoplight where Harris would have had to turn to go to daycare instead of work. Harris told investigators he had no distractions (like a phone call) on his way to work, according to Stoddard. 1:49 p.m. ET: Harris backed up his car when he arrived at work (before parking), according to Stoddard, who says Harris didn't have a backup camera and would have had to use his rearview and side mirrors (or turn around). Harris reached over the center console to grab his laptop in the passenger seat, according to Stoddard. Investigators used a mannequin in the car seat and found that the boy's head would have been visible over the top of the car seat. Harris sat in his car for 30 seconds before exiting the vehicle. 1:51 p.m. ET: Harris didn't tell investigators he returned back to his car during the day, according to Stoddard. Investigators made the discovery when reviewing surveillance footage. He made a quick stop at the car to drop off light bulbs. 1:53 p.m. ET: During the day, Harris received an e-mail from daycare: "He received a group email from his teacher, Cooper's teacher... and that email came in around 1:30 p.m.," said Stoddard. 1:57 p.m. ET: Stoddard describes Harris' demeanor following the incident: "He started off trying to work himself up... He's walking around, rubbing his eyes. It looked like he's trying to hyperventilate himself... no tears, no real emotion coming out except for the huffing as I would put it." Stoddard says he never saw tears from Harris when he talked about his son. 2:02 p.m. ET:Harris became emotional when he was with his wife at the police station: "It was all about him: 'I can't believe this is happening to me. Why am I being punished for this?' It was all very one-sided," Stoddard said. "He talked about losing his job… 'What are we going to do? I'll be charged with a felony.'" 2:09 p.m. ET: Stoddard said several injuries were found on the toddler's body: "Marks on the child's face. It would have come from the child or a scratch being made while the child was alive and then not healing or scabbing over or anything after that, soon after he passed away." There were also abrasions to the back of the boy's head, according to Stoddard. During the day, Harris was having conversations with up to six different women, according to Stoddard, who said explicit photos were being exchanged. "We've only scratched the surface," said Stoddard in regards to the searches done on Harris' computers. He also visited a subreddit called child-free: "They advocate not having any more children and adding to the biomass I guess is the best way they put it," Stoddard said. Harris also searched "how to survive in prison" and "age of consent for Georgia." When Stoddard told him they were charging him, Harris allegedly responded by saying, "but there's no malicious intent." 2:26 p.m. ET: Harris never called 911 said "f**k you" to a police officer who asked him on the scene to get off his phone.